Budapest has become one of the premier backpacker destinations in Europe. 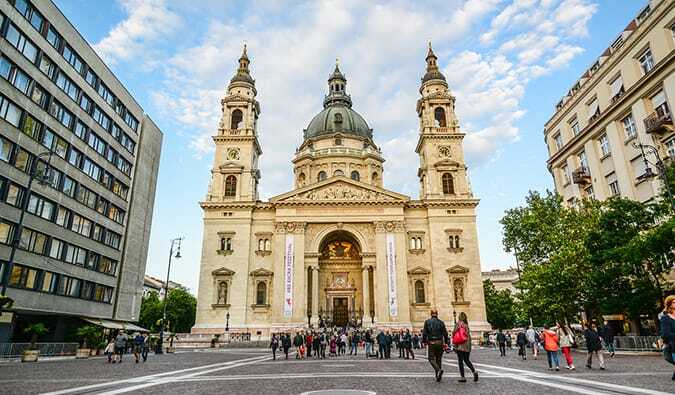 Over the last five years, Budapest has gone from popular to uber-popular spot with hundreds of accommodations popping up and ever increasing crowds. Over 3 million people visited the city last year! For backpackers, the combination of a party scene, ruin bars (which are awesome), lots of sights, and cheap prices makes it irresistible to visit. 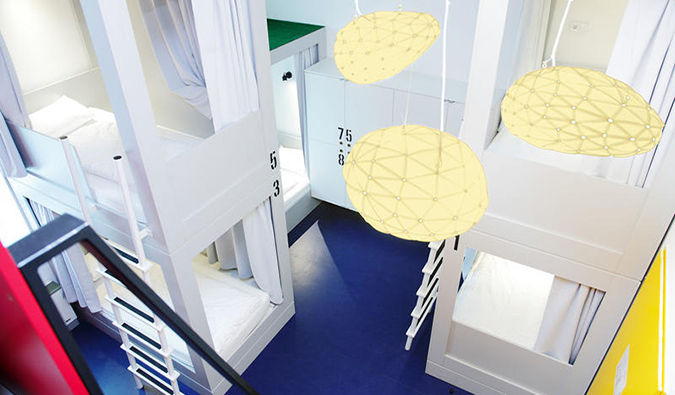 This small hostel is designed to get everyone out and socializing. The rooms are basic with metal framed beds and decent enough beds and pillows. But where this place shines is with the activities. The staff is very welcoming and tries to get everyone involved in all the nightly activities. There are nightly drinking games, three common rooms, a TV, and a pool table. You will definitely make friends here! Don’t miss the Thursday night boat party – it’s a tremendous time. —-> Click here to book your stay at Vitae Hostel! 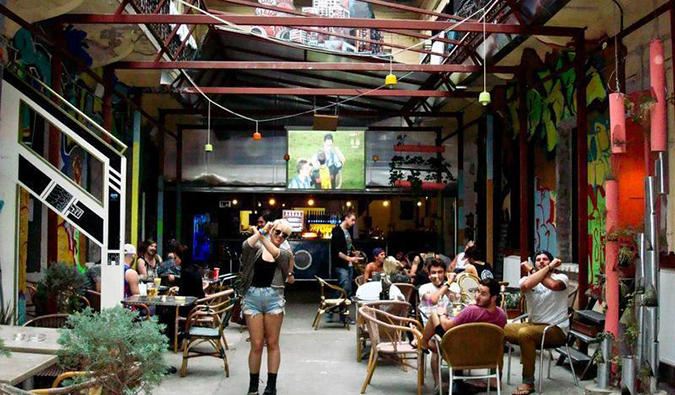 Retox is the best party hostel in Budapest. This place is for serious partiers. Don’t come here if you want a lot of sleep and quiet. The staff is are gonna make sure you go out and get nuts. They will make it their mission to make sure you’re socializing! The hostel has an awesome inner courtyard with lots of tables and bar. 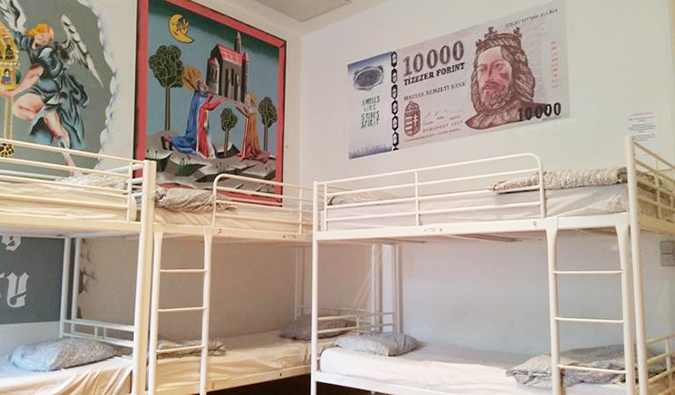 The rooms are super basic and the beds worn and thin – but no one comes here to sleep! —-> Click here to book your stay at Retox Party Hostel! This is another hostel that lives up to its name. Grandio organizes a lot of events from the expected (pub crawls) to the unexpected (costume parties). If you want to chill outside, the courtyard has an awesome fire pit. The hostel is located in an old building and street artists have painted the walls of the entire place so every room is covered in art. It’s associated with the ruin bar of the same name. Note: the rooms themselves are tiny and cramped. They squeeze a lot of beds in there. But, again, if you’re not looking to rage, don’t come here! Beds from 2,400 HUF/8 USD. —-> Click here to book your stay at Grandio Party Hostel! 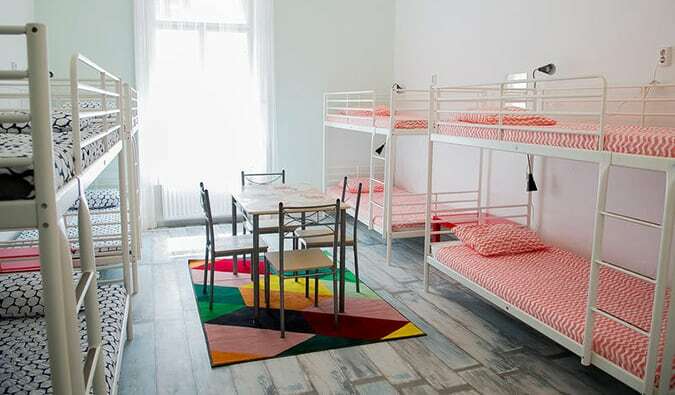 This is the original party hostel in Budapest. It’s a really small hostel, and it almost feels like you’re staying at a friend’s place. There are organized trips out on the town every night. Unlike the other party hostels in Budapest, the rooms here are a lot nicer and more spacious. They are kept cleaner, the beds are comfier, and there’s just more space! The couch in the common room is super cozy too. —-> Click here to book your stay at Carpe Noctum Original! 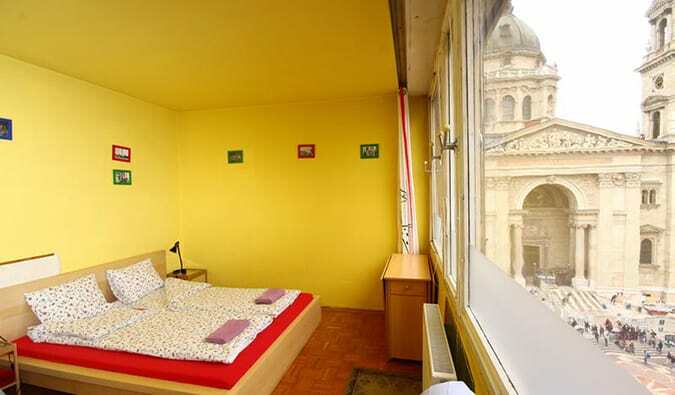 This is a small, newer hostel is a one of the best overall hostels in Budapest. The hostel has cozy, comfortable beds, soft pillows, lots of space, clean showers, and a cool common room! It is a wonderful place for solo travelers. The kitchen is huge and has lots of spices and cooking supplies. It’s not as party focused as other hostels in Budapest. There’s a three-night minimum during the busy season. 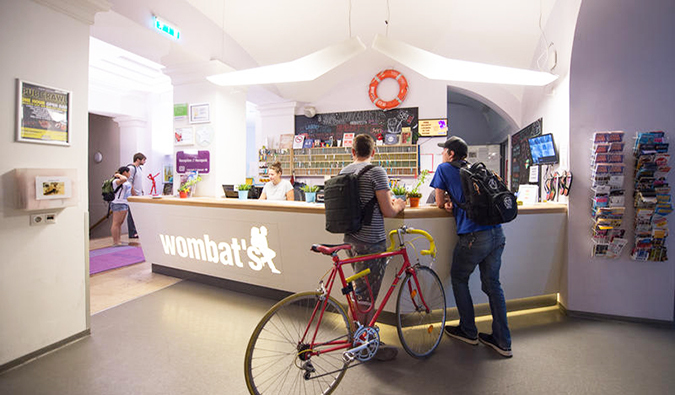 Wombats is like a backpacker hotel with hundreds of beds and a lot of modern ammenities. The rooms are spacious with new beds, reading lights and power outlets, and ensuite bathrooms that are kept very clean. The hostel organizes events, including pub crawls and walking tours, and offers breakfast. The only downside is that the wifi can be spotty. This is one of the bigger hostels in the city. If you’re looking for a more modern hostel, stay here! —-> Click here to book your stay at Wombats! This is a cool option in the Jewish Quarter. There are amazing large curtains around the huge bunks (perfect for privacy) and the beds and sheets are super soft. The rooms are huge and colorful and well lit too! I really enjoyed the wine tasting they offered here. They also have other special events throughout the week to get people to socialize. It’s cash only, and there’s a key deposit you’ll get back at check out. 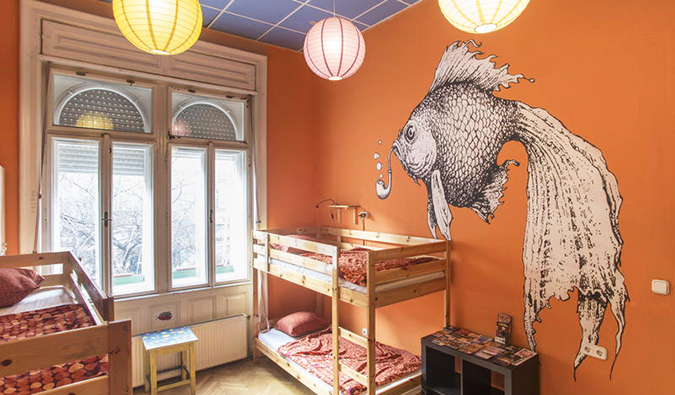 It’s one of the best looking hostels in Budapest! —-> Click here to book your stay at Maverick City Lodge! 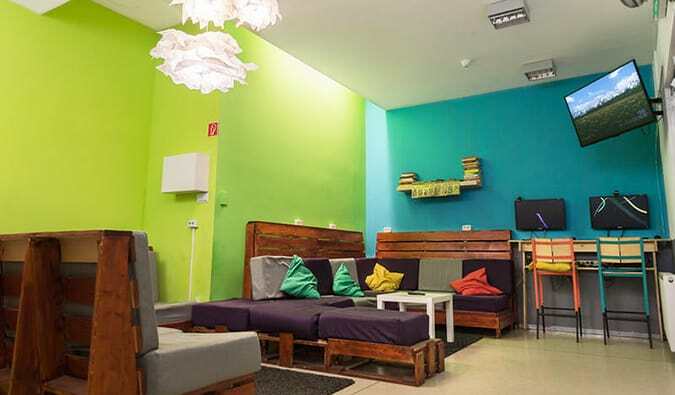 —-> Click here to book your stay at Hostel One Budapest! —-> Click here to book your stay at Hostel One Basilica! I love this hostel. Rooms are filled with plants, flowers, and bright artwork on the walls. The lockers are bit small and there’s not a lot of outlets but those are small issues. There’s a well stocked kitchen and outdoor commong area (great to sit in on a nice day). This hostel is located an old, quaint building and is small and homey! It’s the best hostel in the city if you’re not looking to party. Reception is open only from 10 a.m. to 4 p.m.
—-> Click here to book your stay at Activity Hostel! This is a small, clean hostel in a residential building and it’s like you’re staying in someone’s home (because you kind of are). Peter and Cecilia are over-the-top friendly! They’ll do all they can to help you. All the beds come with reading lights and most rooms have a table in them (try to get a room away from the window as the curtains aren’t super thick). If you’re looking for a small, quiet, homey hostel, stay here. Book in advance as it fills out quickly. —-> Click here to book your stay at Fifth Hostel! This is a pretty cool place near St. Stephen’s Basilica, with easy access to all three of the city’s metro lines. All the rooms are all a bit different – some have chandeliers, some have views of the Basilica, and others are bit plain and boring. There are activities each night of the week, including goulash tasting on Thursdays and movie night on Sundays. That said, this is not a party hostel so don’t worry about being kept up late into the night! —-> Click here to book your stay at Pal’s Hostel! 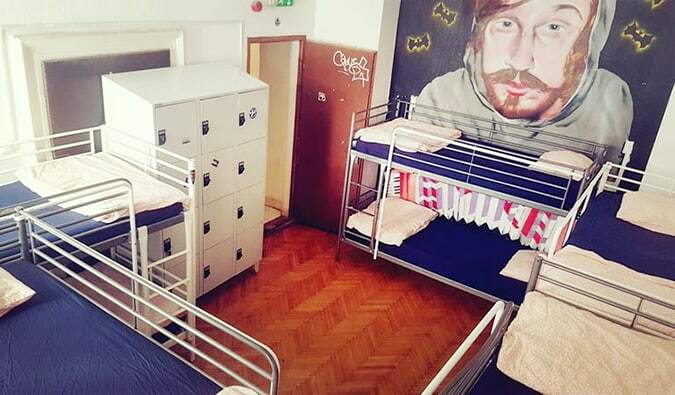 Budapest is a budget traveler’s paradise, and these hostels are the best hostels in Budapest! They will help improve your experience in one of the coolest, hippest, and beautiful cities in Europe. Whether you’re looking for the wildest party hostel you’ve ever seen or a quiet, relaxing haven, you’re sure to find what you want with one of these hostels on my list! If you have any suggestions, leave them in the comments! 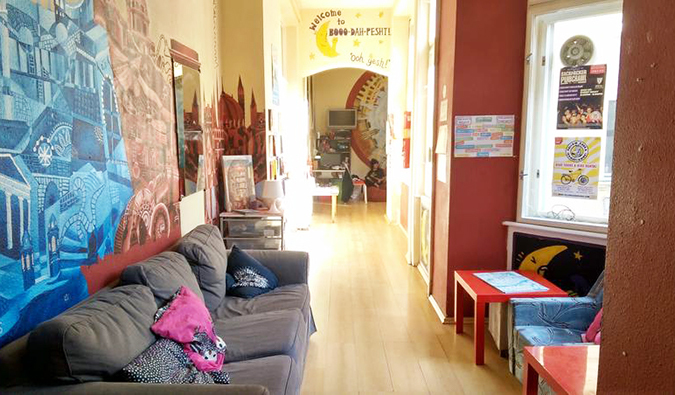 The post My Top 11 Hostels in Budapest in 2019 appeared first on Nomadic Matt's Travel Site.